An autonomous scientific echosounder with unmatched combination of multiple frequency operation, low power and long endurance that fits your budget. 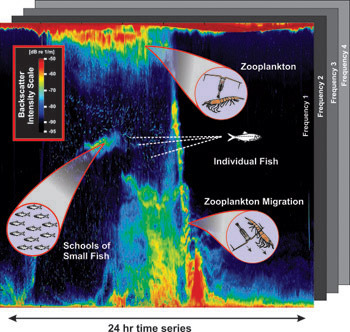 The ASL Acoustic Zooplankton Fish Profiler™ (AZFP), offers a new, economical way of obtaining reliable measures of marine environmental conditions in the water column. 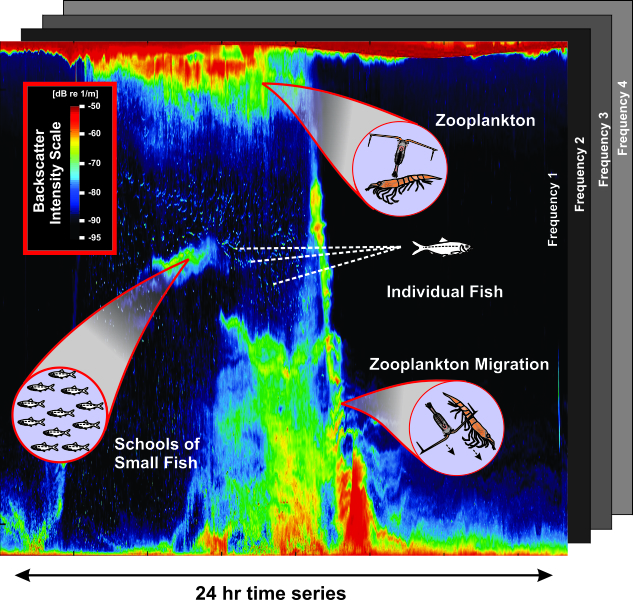 The AZFP™ can monitor the presence and abundance of zooplankton and fish within the water column by measuring acoustic backscatter returns at multiple ultrasonic frequencies. Other sonar targets realized from the sonar backscatter data include bubbles and suspended sediments.